La Gué-de-la-Châine is a village and commune 36 kilometres by road east-south-east of Alençon, on the D.955 road to Nogent-le-Rotrou and Châteaudun. The communal cemetery is on the eastern side of the village on the D.955 road. There is 1 Commonwealth burial of the 1939-1945 war here, west of the monument in the centre, and near the west wall. ENGLAND. 1944-06-11. 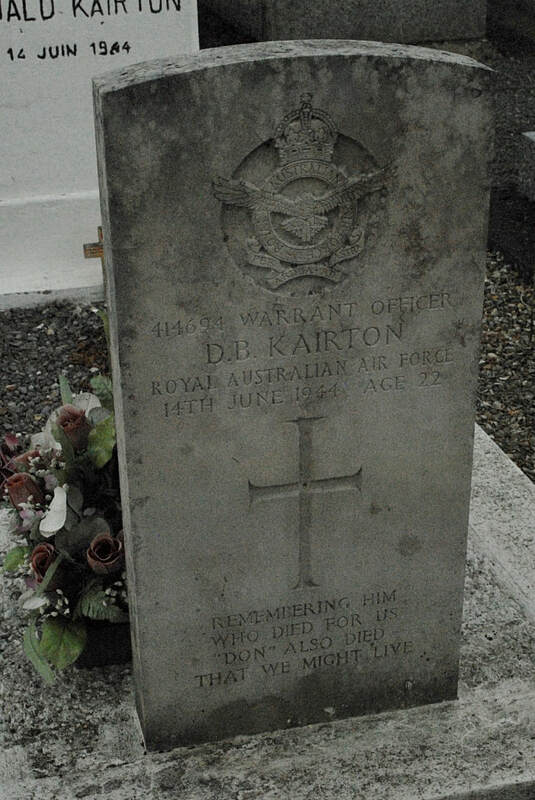 414694 FLIGHT SERGEANT D. B. KAIRTON, BABINDA, QLD, A MUSTANG PILOT WITH NO. 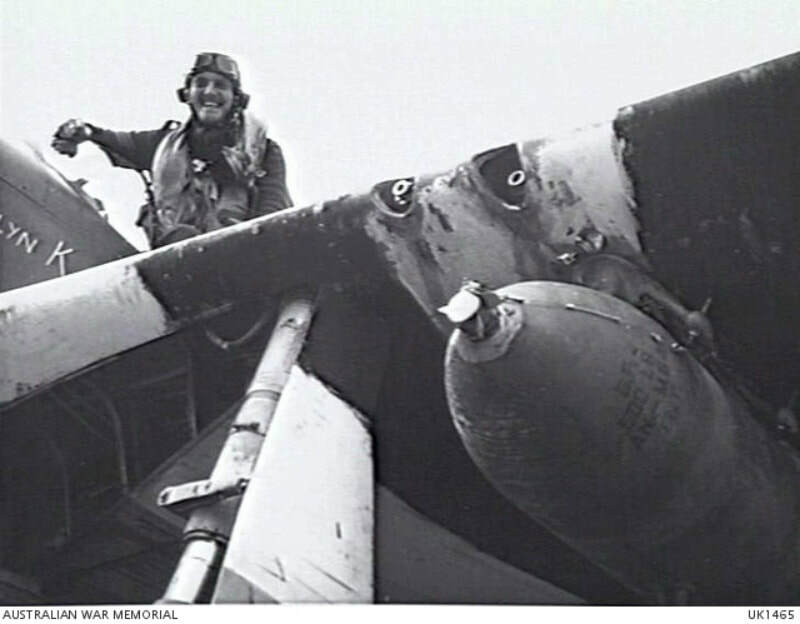 19 SQUADRON RAF, READY TO LEAVE WITH ANOTHER LOAD OF BOMBS FOR A TARGET IN THE INVASION AREA.